Microsoft Dynamics NAV 2018 is a fully integrated business management software or ERP that is designed for small and midsize businesses. With a unique combination of business intelligence, collaboration and communication tools, Dynamics NAV 2018 enables businesses to make informed decisions that have a direct impact on productivity. 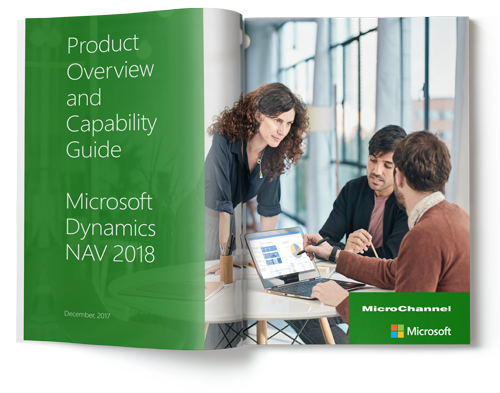 What’s New in Dynamics NAV 2018? Building on the robust functionalities in Microsoft Dynamics NAV 2017, the new version offers seamless integration with Office 365, faster set up, built-in Cortana Intelligence, improved automation with PowerApps and Flow and more. Below are some highlights, however for detailed information, please download the brochure.